Hi everyone. 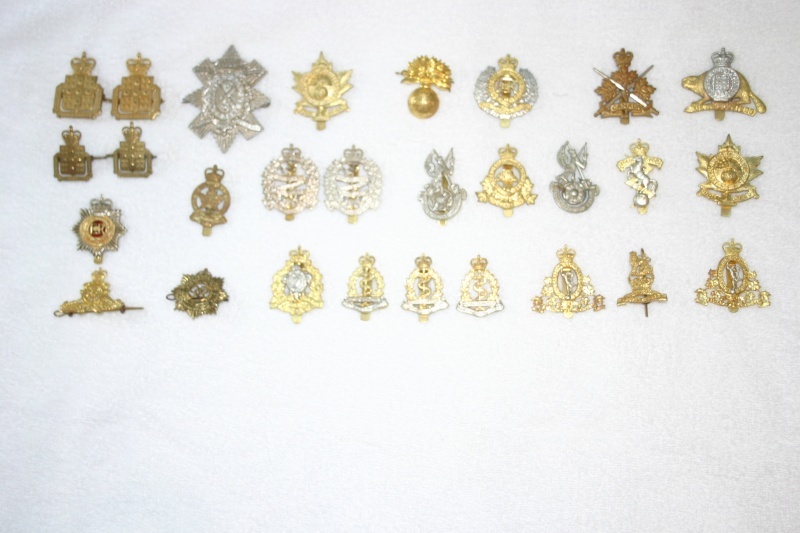 My father in law gave me a bunch of cap badges and shoulder flashes. He was in the military in the 50's and 60's and got his medical training there. He had this collection in a box in the basement , and hadn't done anything with them in years. The subject came up over lunch about old military gear and he said that he had some things he could give to me. I have not had the chance to do any research on any of them yet, but hopefully soon. John, you are back with us?? Excellent. You got yourself and interesting array of badges and titles. These are outside my era but very nice in deed. Hi Cliff. How is " resting on my laurels " treating you? Been quite busy at work and around the house, hence not too much activity here. I also picked up at a garage sale a Canadian made 1972 Scepter canteen and a friend gave me the model of canteen that you can use while wearing a gas mask. This one is American made, but we still used them just the same. 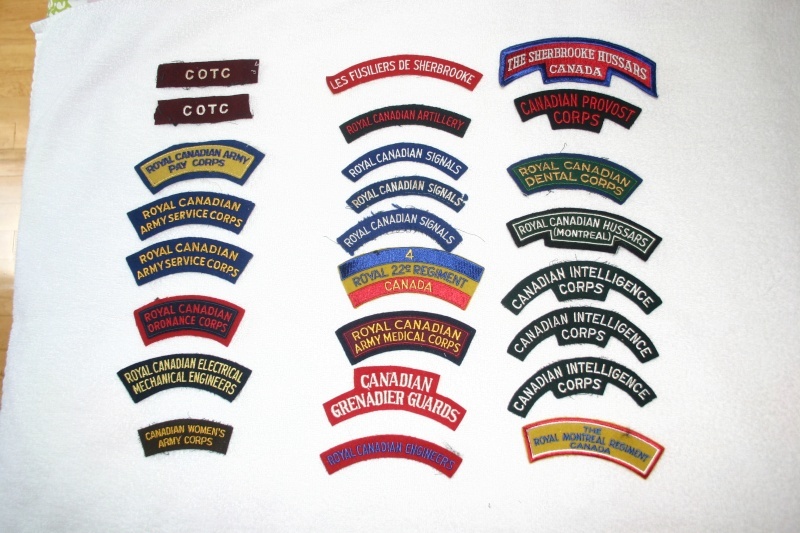 I am still looking for a Canadian canteen cup and holder. Any possible leads? And whats new with you?